Girls weekend! Friday was an exciting day for me, as it meant that my aunt and cousin were coming for a visit in London. The most amazing aunt booked the Victoria Plaza Hotel, which was the place we planned to meet after I finished work. 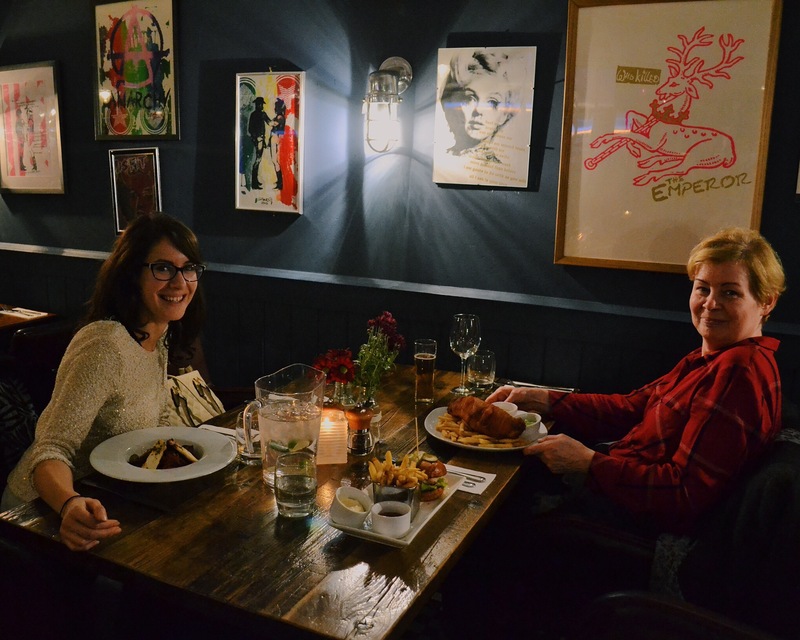 After ou first moments of joy, it was time for me to introduce my family to British cuisine. 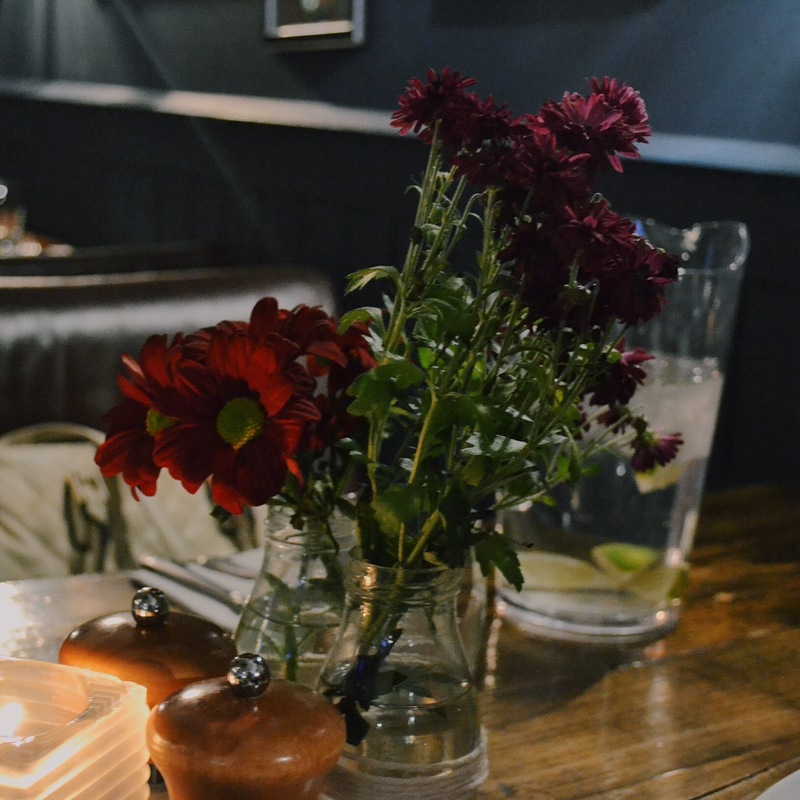 Reservations were made for the Hudson’s House, which is a chic pub in the core shopping area on a hidden street. While the outside looked a bit grungy, the interior was beautiful. Modern art, fresh flowers and a contemporary design. 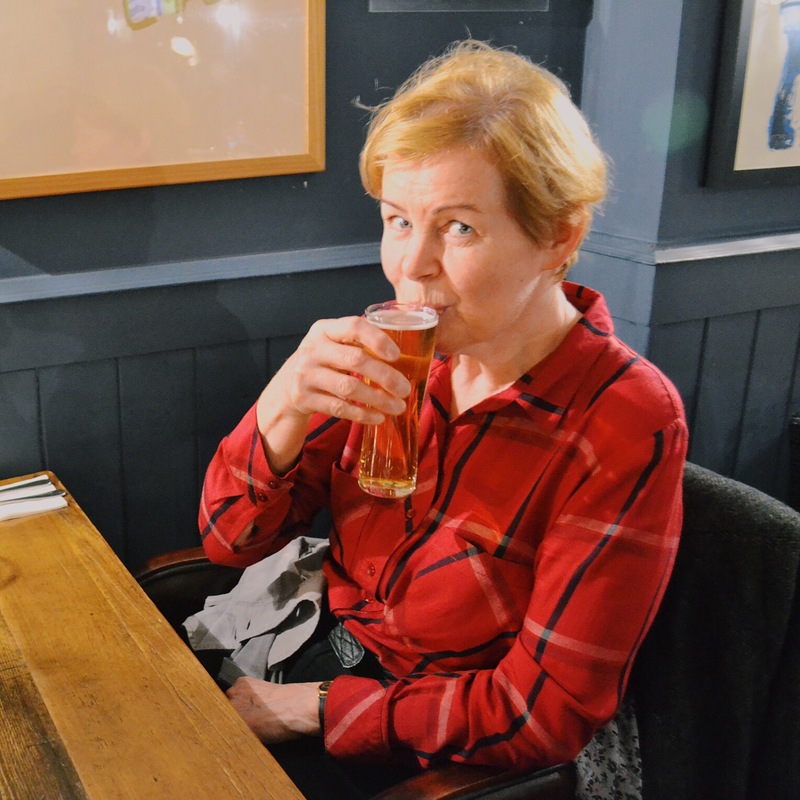 We treated my aunt to a half pint of blonde ale and the largest plate of fish and chips I have ever seen. 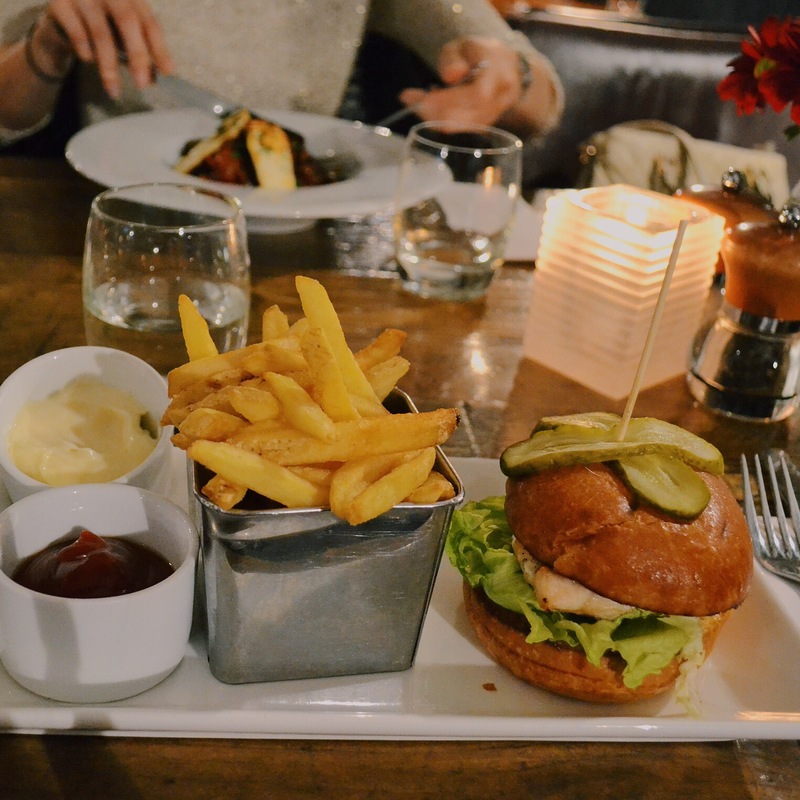 All of our meals were deliciously fresh, including my chicken burger and Agi’s plate of roasted vegetables. 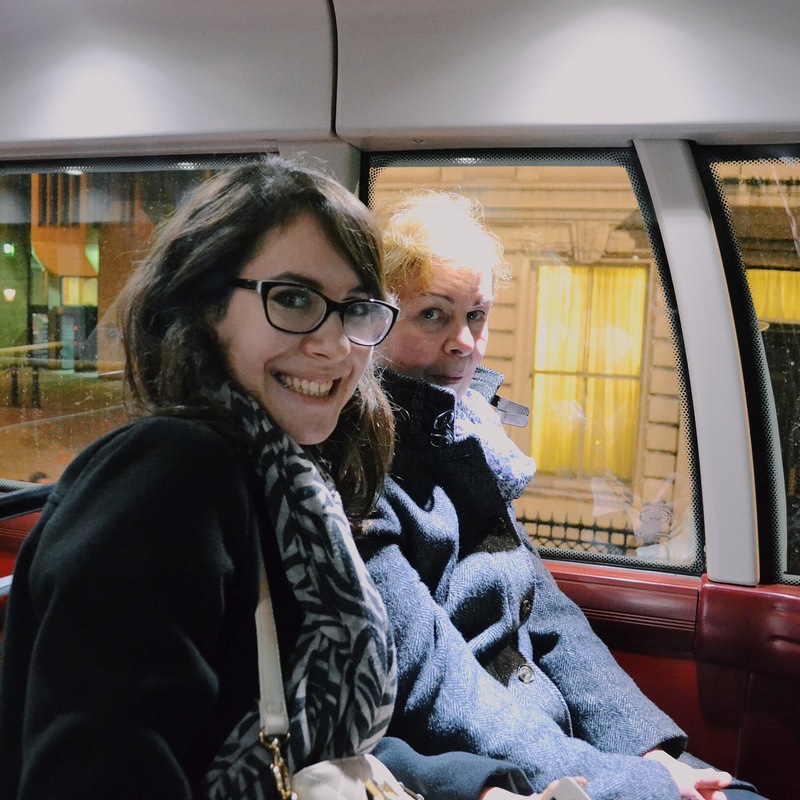 Before retiring in our comfy beds, the city lights were admired atop a double decker. A fun evening with family, and more to come on the weekend!